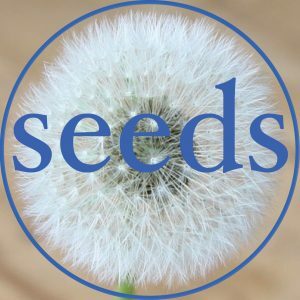 These poems are inspired by the conversations with the guests on seeds podcast. Inspired by photographer Jonathan Lee, episode 22. Showing what was previously unknown. Inspired by environmental social scientist Franca Buelow, episode 28. Inspired by Michelle Sharp, episode 1. Their home is here, today. Inspired by poet Kathleen Gallagher, episode not yet released. coloured stones into smooth objects of desire. They are often buried, seldom on the surface. for I only whisper this answer. It is lost in the wind to many. You need to be attentive and present. and really see what is around you. Breathe deep. Look to the old language. Wait. Ponder this. Break it down more. So be attentive to each breath. Seldom seeking the deepest questions. and how can we help each other, my friend? Yes, our conversation was all this. I’ll go look for more. Inspired by architect and community builder Camia Young, episode 30. As a building turns into a place. Inspired by Amy Marsden, episode 24.
than it has to me. Inspired by Netta Egoz, episode 3. Inspired by Cheryl Doig, episode 62.
was killed for stealing five dollars. yet grief still fresh in a mother’s eyes. if I let it come in. by me and follow me around asking for my attention. We each complain as birthays pass. We make jokes – light hearted. I was better when I was younger. that is an insult to him. choice of having another birthday. So do not complain about getting old. Inspired by 10 year old Shanna Moe, episode 5.
or anything else I will ever be involved in creating. to be worthy of what I’ve been entrusted. Inspired by urban food farmer Bailey Peryman, episode 7. Inspired by Holly Norton, episode 69.
like so many daily distractions. Selling this and that. Busy. as they shake in the wind. In the middle of a sale). Reach out and grab a hanging apple. May be more important than we realise. all that kept us busy. Inspired by Kit Hindin, episode 9. I’ve forgotten to stay still. Breathe deep and remain true. are drowned out by other cries. to a surface life, in disguise. So steal silent moments. Slow down. Reflect, for time will tell. that is drawn from the deepest well. Inspired by Mark Ambundo, episode 10. Beyond, to what’s bigger than you. Inspired by Academic Dr James Austin, episode 12.
always in the same direction. ebbs and flows ofthe seasons. to the next callused hands. Inspired by Mark Prain who knew Sir Edmund Hillary and how they came up with a new venture together, episode 19.
those who conquer them even more. deciding together to take a stand. for all at this table to see. (unless you’re a little bit lazy). open their eyes to all it can be. as hope and hard work give birth. for all may not be what it seems. and become more than an echo of dreams. Inspired by entrepreneur Michael Mayell, episode 44.
that are scattered like seeds. Inspired by Film Director Marcelle Lunam, episode 50. I am connected to you each and every day. childhood memories you gifted to me. of my Mother, a debutante. I showed her smiling and alive at her funeral. Each life precious, flickering, gone. and inspired me to think beyond what I saw. To collect colour, compile sound. for really all I am traces back to you. Maybe then, you are less forgotten than I thought. Maybe I can be the same for another child. Inspired by Rwandan Refugee Simon Mbonyinshuti, episode 61. Carrying with you only your name. Your new life built on those four letters. Inspired by 90 year old Sister Mary Scanlon, episode not yet released. of an old man breathing his last. crystal clear though long in the past. of service – for deep calls to deep. Examples of the promises you keep. may we never let that slip from our sight.